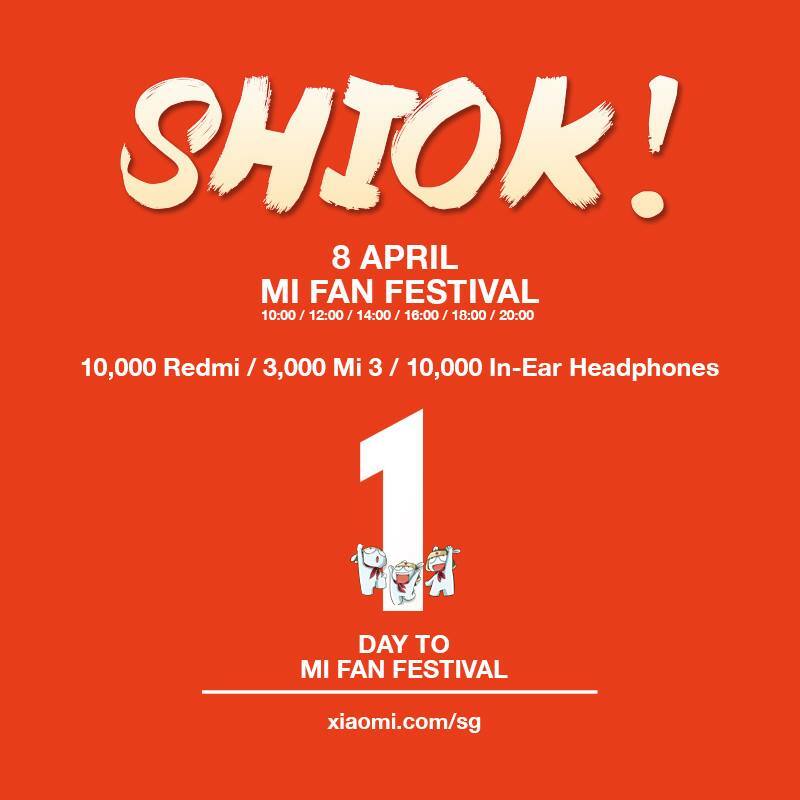 Popular Chinese smartphone maker Xiaomi inspires the fierce loyalty of many fans — to call it a ‘cult of Xiaomi’ isn’t really that far-fetched when you witness the massive turnout of fans at their events, some of whom travel all the way from other parts of China into Beijing where Xiaomi’s events are typically held. Xiaomi fans are called ‘Mi Fen’ (米粉 in Chinese). The level of passion in these people is amazing. When I attended Xiaomi’s launch event for its Mi-3 Android phone and a 3D smart TV last year, security guards had to come out in full force for crowd control. It was pretty much a sight to behold. A lot of the secret sauce lies in the way it engages with fans and customers using social media — and a perfect example is the Mi Fan Festival held yesterday to celebrate its fourth anniversary. This year, Xiaomi took an unusual decision — instead of launching a new product on the day itself as it has traditionally done, such as the Mi 2S last year, the company organized its biggest flash sale ever. For other companies, I think when it comes to anniversaries it’s usually about the company itself. For Xiaomi, it’s about our Mi fans. We want to please them with new products, more offerings so we held launches… but this year we hear our customers, they want more products so we have been trying to get more inventories in. We want to satisfy our fans. In total during the festival, Xiaomi sold 1.3 million handsets in mainland China, Hong Kong, Taiwan as well as Singapore, raking in CNY1.5 billion ($242 million) worth of sales. In particular, Xiaomi says that its overseas markets — Hong Kong, Taiwan and Singapore — performed far beyond expectations, raking in CNY130 million ($21 million) to account for 7.1 percent of the company’s total revenue in those 12 hours, even though their combined population represents just 2.5 percent of mainland China’s entire population. What’s more interesting about the Mi Fan Festival this year, however, is the lead-up to the flash sale. Xiaomi took to social media to stir up excitement among its fans, increasing the amount of engagement tremendously and giving us a glimpse of how this young company is striving to take Xiaomi-mania international. It helps that Xiaomi has a huge following on Weibo — both its main device account and Xiaomi CEO Lei Jun have over eight million followers. Chen says that social media is very important to Xiaomi, as it’s the most direct and effective way to interact with its fans. “It’s where we can easily listen to our users, get their feedback and tell them what we think right away. For this year from the first day on, we ramped up users’ expectations and have a series of programs to be released every day,” she says. For the Mi Fan Festival, Xiaomi came up with a game for users to play and win discount coupons, called ‘Kings of Knockout’ — and promoted it heavily on platforms including China’s Twitter-like microblogging platform Weibo, Twitter itself, Facebook as well as Google+. “Users are very excited to be part of the whole game… Participation is the magic word for Xiaomi and why our fans stick with us so long,” Chen says. We’re talking to them in the same way that their friends talk to them… We’re super informal, we’re playful. If you look at the copy of our Mi Fan Festival in Singapore for example, we’re using words that you wouldn’t expect to see on a company page. We’re talking about ‘crazy sale’ and ‘shiok’ (local slang). It’s like building friendships — that’s what we have done. To illustrate the level of engagement Xiaomi has seen during its Mi Fan Festival by taking such an approach, Barra drew on its performance in Singapore, where the company made a move into just earlier this year. 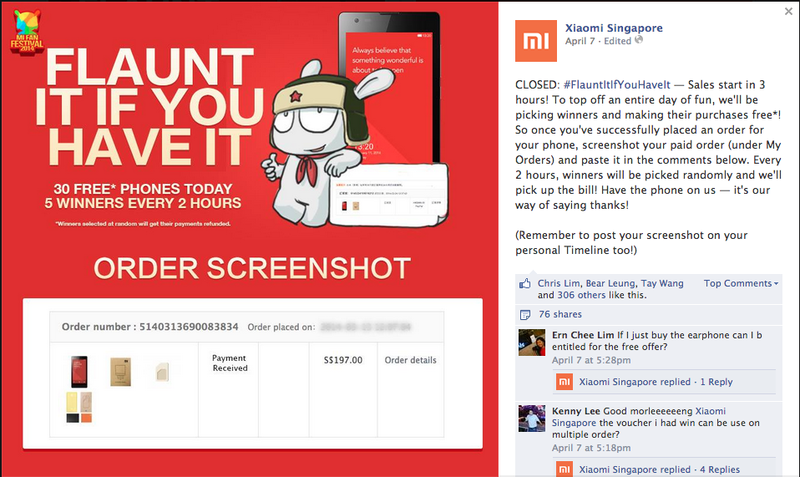 A Xiaomi Singapore Facebook post asking fans to share their orders drew over 2,400 comments from its nearly 25,000 fans — up from the typical number of several hundred comments. 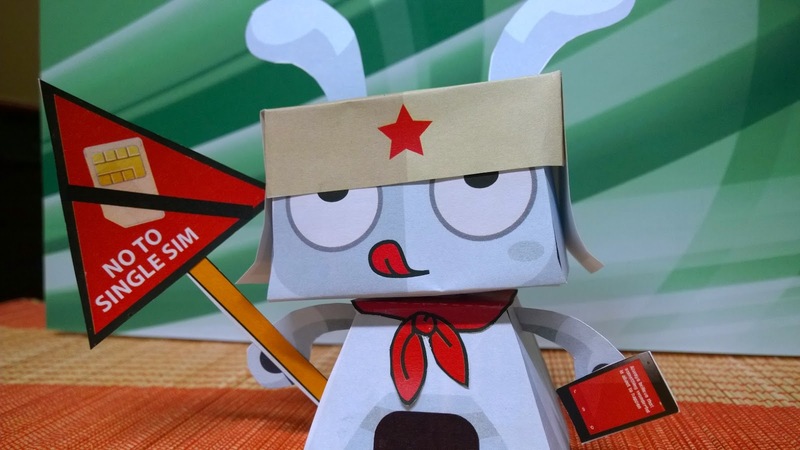 This ‘friendship’ has also led to interesting reciprocation from fans of Xiaomi in Singapore, who take the time and effort to create Xiaomi-related creative projects — the two examples below include a Mi Rabbit origami and the a Mi Rabbit comic. One reason why fans are so involved could also be that Xiaomi sees the effort and responds accordingly — it has given away mobile devices to fervent fans before. 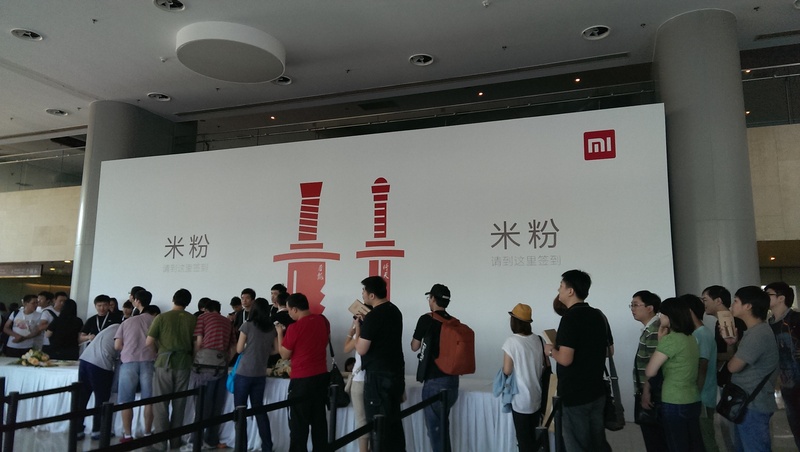 To this extent, Xiaomi didn’t only sell large numbers of handsets during its Mi Fan Festival. 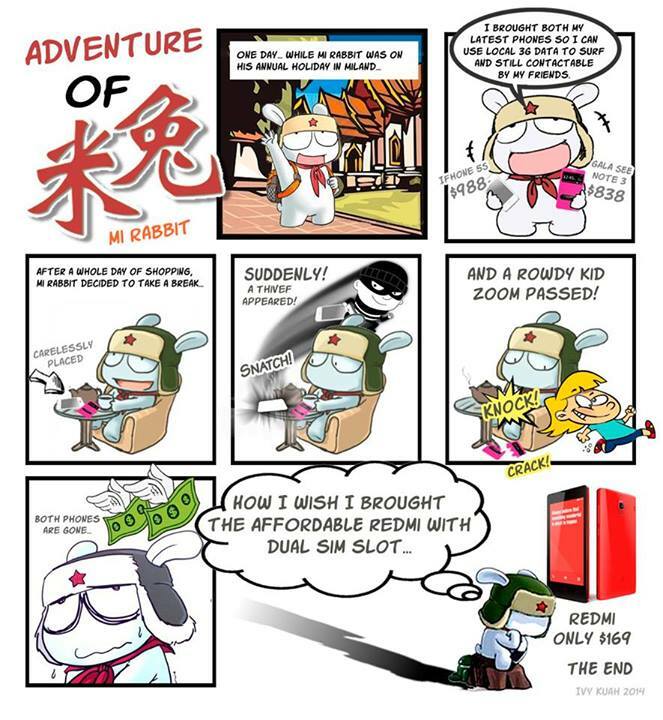 It also sold more than 170,000 Mi Rabbits — Xiaomi’s mascot stuffed toy — showing how fans have gone beyond just appreciating its value-for-money mobile devices, and actually buying into its brand. Other than showing off the fruits of its social media strategy at the Mi Fan Festival this time round, Xiaomi also took the opportunity to show off its e-commerce chops. The company has been under fire rather often for limiting supply and creating artificial demand, but this time round it has put up over 1 million handsets for sale at one time. Barra also tells us that it is aiming to get all the products delivered to customers within five days of them placing their orders. Xiaomi CEO Lei Jun has also promised to ensure a healthy supply of phones. The company shipped 11 million smartphones in the first three months of this year, with Xiaomi CEO Lei Jun saying that this figure could reach 60 million units for the whole of this year eventually. At the very start, Xiaomi made a name for itself simply by selling smartphones packed with high-end specs but at lower prices compared to other Android phone manufacturers including Samsung and HTC. For example, in Singapore, the budget Redmi costs just S$169 ($134), while Xiaomi’s flagship Mi 3 has a price tag of S$419 ($332) unlocked. However, perhaps as a result of its social media engagement — as the Mi Fan Festival shows — Xiaomi seems to be gaining greater resonance among customers, fans and regular consumers. And though Xiaomi is still in the early stages of expanding outside of China, its impressive sales haul from the Mi Fan Festival is a clear demonstration of its potential to disrupt the industry with ‘affordable’ devices that provide a quality user experience. Going further down the road, we can only hope that Xiaomi maintains its unique social media approach of being truthful and open with users and stakeholders, which will definitely appeal to both current and potential fans. In recent sales, the company has selectively chosen to reveal some figures while not disclosing others, which could lead to some scepticism. As mentioned, there is a long way to go until Xiaomi becomes a regional (if not global) brand, and it will be interesting to observe whether it can maintain its direct relationship with customers outside of Greater China and Singapore. Eventually the effort taken by Xiaomi to cultivate a ‘friendship’ with its customers via social media is what should keep other Android smartphone manufacturers, or even Apple, on its toes.